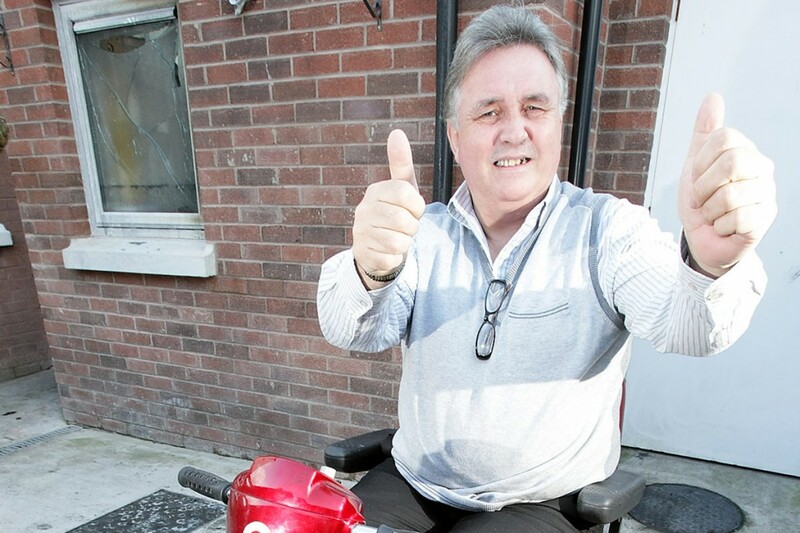 A GOOD Samaritan has come to the aid of Poleglass man Michael Bailey who had his vital mobility scooter destroyed by a devastating Halloween night fire.Last week the Andersonstown News reported how a stray firework ignited the outdoor shed where Michael kept his mobility scooter reducing it and the shed to a blackened shell. 56-year-old Mr Bailey, who suffers from multiple sclerosis, had a replacement scooter delivered to his home by an anonymous benefactor, a gesture which has left him “a very thankful person”. Speaking from his Laurelbank home, an emotional Mr Bailey said he was delighted with the new scooter. 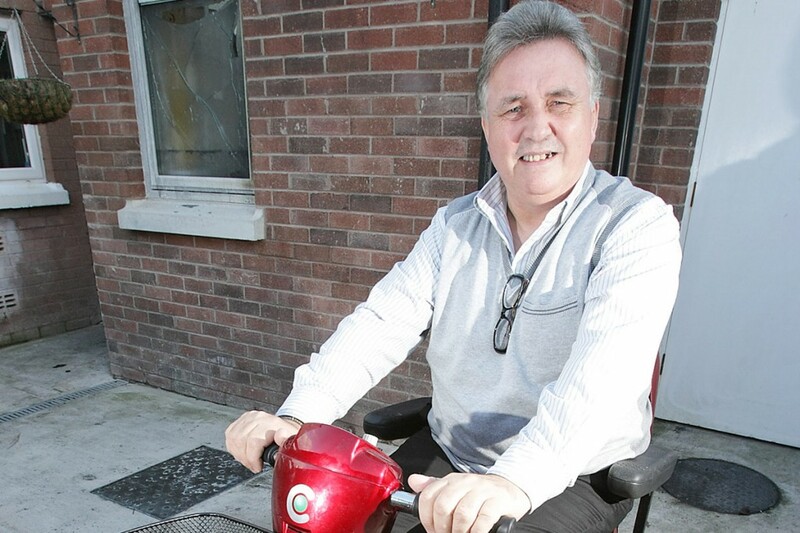 “The Andersonstown News carried what happened to me last Thursday and by Friday the Housing Executive had been out and cleaned the back of my house and I had a new scooter. “Michael George from the Safer Neighbourhood Project knocked on my door and said ‘Michael we have a surprise for you.’ They carried in the scooter and it’s now taking pride of place in the kitchen,” he said. Sinn Féin Councillor Stephen Magennis had warm words of praise for all who came to Michael’s aid. “The fact that Michael got a replacement mobility scooter so quickly was fantastic – but it never should have come to that. I have to praise the efforts of the Housing Executive who came out and cleaned away the burnt debris and fixed Michael’s back windows that had buckled under the extreme heat of last week’s fire. Michael George from the Safer Neighbourhood Project contacted me to say that someone had donated a mobility scooter and that they were on their way with it. “Michael told me he was really moved by how much people wanted to help him get his life back together and his independence. I just want to thank everyone involved in helping Michael, his being able to get out and about in the community means everything to him and we hope that Michael and his family won’t have to face any more of these upheavals,” he said.